London-based Fran Hickman began her design career working for Soho House, moving on to Sibyl Colefax & John Fowler. Today, she oversees a studio that takes on projects both residential and commercial (portrait by Nick Haddow). Top: For the living area of a loft she created for the London record label the Vinyl Factory, she selected a leather Pierre Paulin P444 lounge chair and Harry Bertoia for Knoll wire chairs (all photos by Annabel Elston unless otherwise noted). 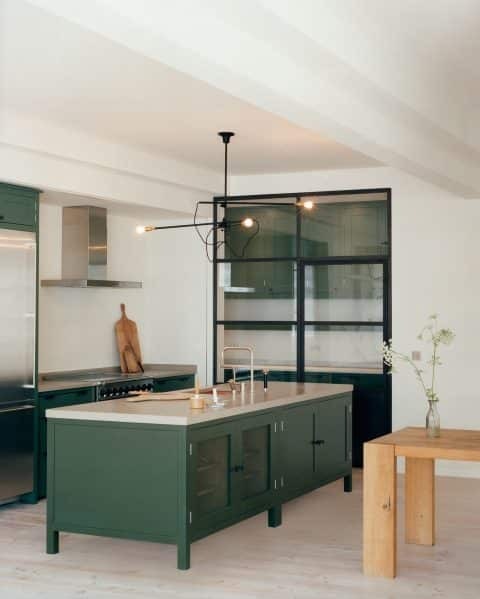 In the green-hued kitchen of another Vinyl Factory loft, Hickman hung a Workstead light fixture over the island. In the first Vinyl Factory loft, a Roll & Hill lamp from the Future Perfect illuminates the kitchen island. The mid-20th-century sofa and Axel Vervoordt coffee table also come from 1stdibs dealers. After a year there, she went to work for Tom Bartlett, of Waldo Works, whose modern sensibility contrasted sharply with the country-house classicism of Sibyl Colefax & John Fowler. “The wonderful thing about Tom is that he is a very skilled architect as well as being a very talented interior designer,” Hickman says. In the three years she worked for him, the firm had projects all over Europe, including retail and hospitality spaces and residences. 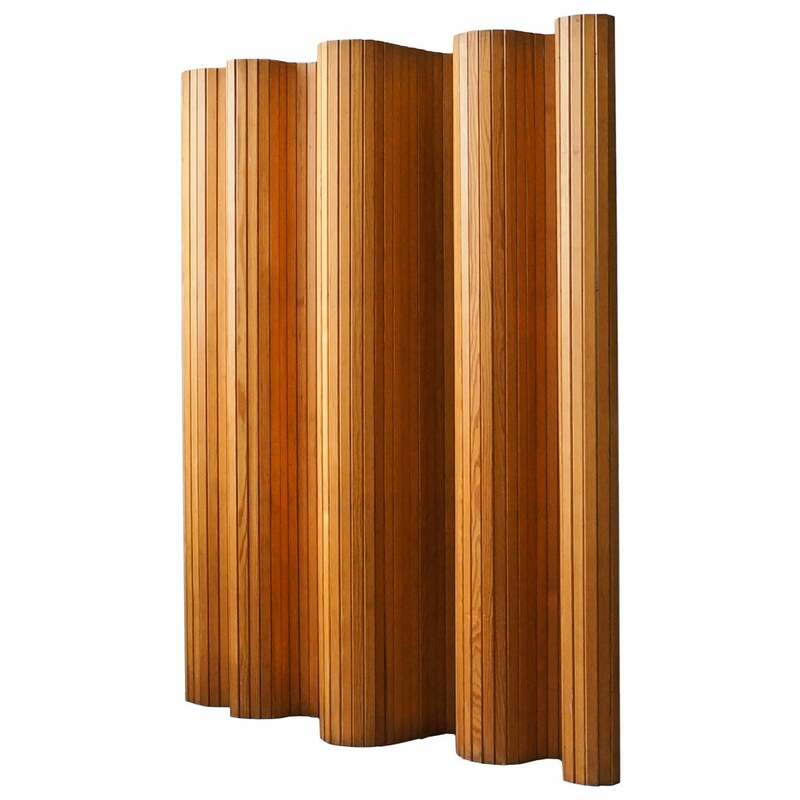 “The close relationship between architect and designer within Tom’s practice informs the way I work today,” she says. Hickman’s next ventures included assisting a world-famous contemporary artist to create what was to be the most expensive house in London. “He had been employed as creative director by the owner, with the idea of approaching the house as a sort of art installation,” she explains. “Everything was bespoke — largely working with his art fabricators as opposed to my suppliers — and it opened up a new approach to designing interiors for me.” Sadly, the project never went ahead. British designer Fran Hickman creates interiors for clients both private and commercial. Among the latter is Gwyneth Paltrow’s lifestyle brand, Goop, for which she masterminded a London pop-up shop late year. 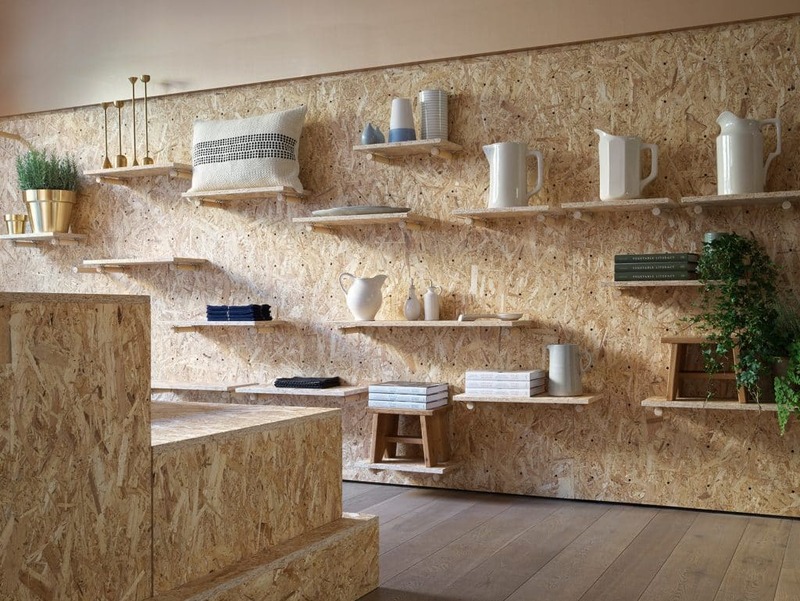 Hickman conceived the Goop shop as a blend of American West Coast vibe and fine British craftsmanship. Hickman created an interconnected pair of moon gates to link the two sides of Chinese fashion designer Huishan Zhang’s boutique in London’s Mayfair. 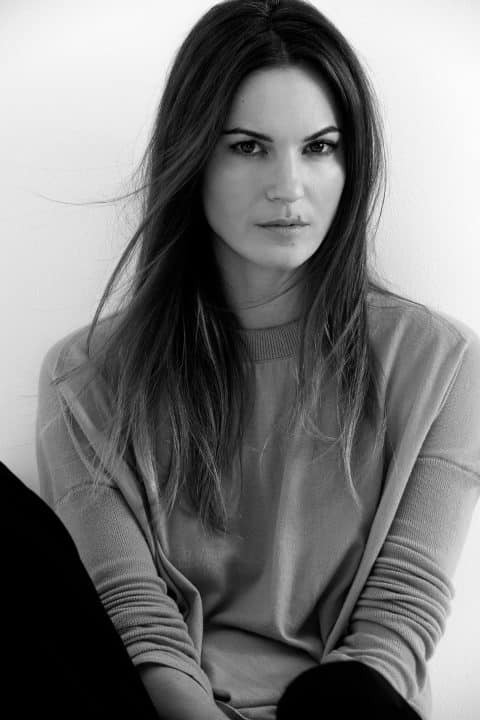 Hickman’s first solo commission was the London flagship of fashion retailer Moda Operandi. In her design for the space, she played with the idea of the trunk show, creating display cases that look like vintage luggage. The Art Deco–style dressing rooms in the Moda Operandi flagship feature custom screens and sofas from Soane Britain. 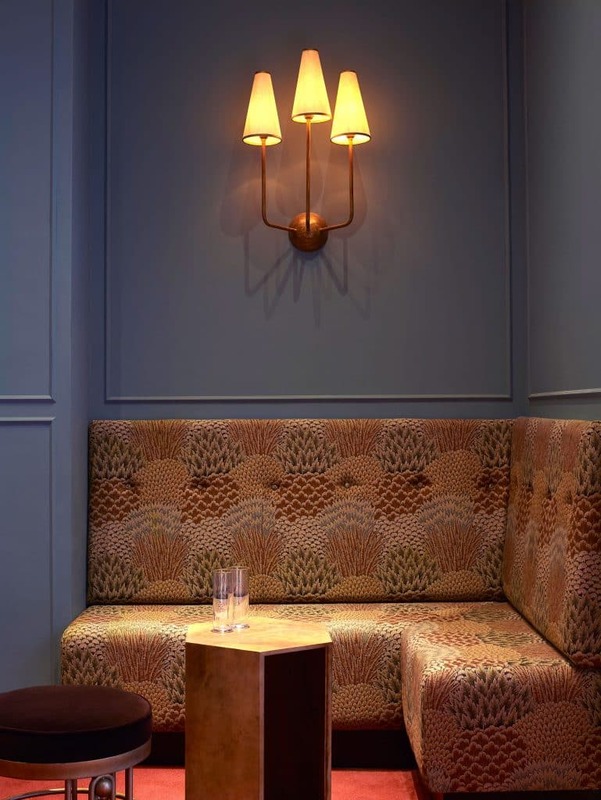 Hickman commissioned bespoke furniture for the members-only Chess Club, also in Mayfair, lighting this nook with a sconce from Two Enlighten. The designer lined the walls of the Chess Club dining room with vintage illustrations of butterflies. At the custom tables sit Gubi chairs. Hickman was already making plans to launch her solo career when the perfect freelance job came her way. “Moda Operandi had been referred to me through a mutual friend,” she says. 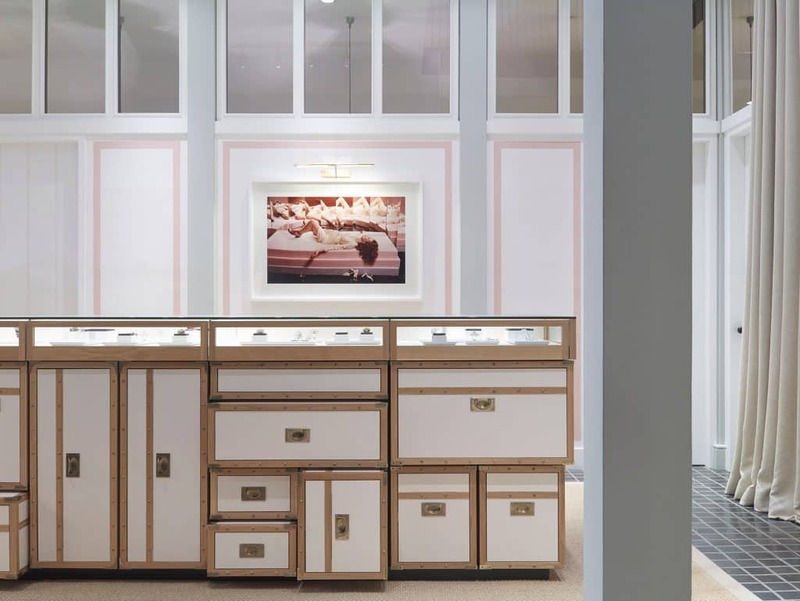 The fashion company, founded by former Vogue editor Lauren Santo Domingo, was launching a flagship store in a mews house in London’s Belgravia. “We only had about four months to install, so it was quite full-on.” Hickman pitched a concept that involved commissioning bespoke vintage-looking trunks for displays, a sort of visual metaphor for the trunk show, and it won her the job. In a Notting Hill home, Hickman collaborated with London’s 23 Architecture to conceive a spiral staircase inspired by the work of Barbara Hepworth. “It was that concept that won us the commission,” she says. The Beehive pendant lamps over the bar are by Alvar Aalto. Other projects, both commercial and residential, began to come in by word-of-mouth, the houses often commissioned by such notable clients as leading actors, musicians and directors. 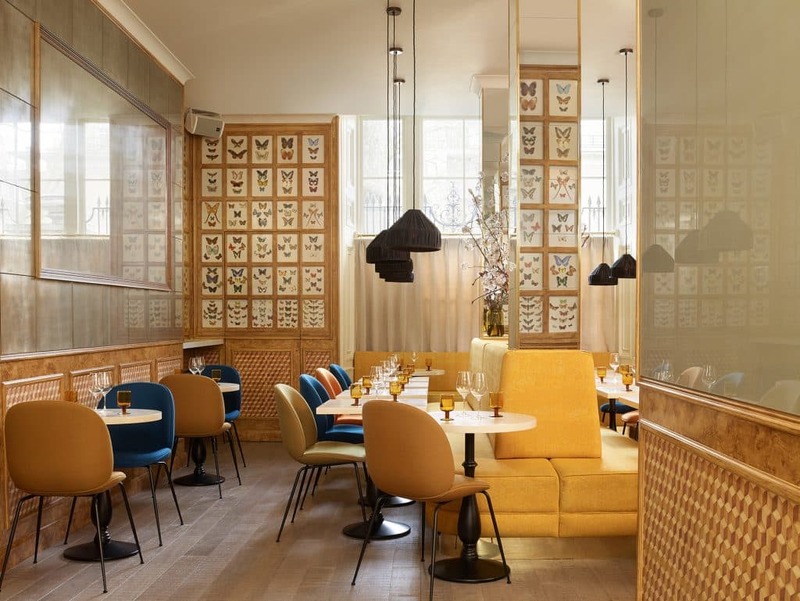 Last year, Hickman designed the first Goop pop-up in London, introducing an American West Coast vibe of golds and blues as a backdrop for the Gwyneth Paltrow lifestyle brand. For the reimagining of the Marie-Chantal flagship store in Belgravia, devoted to high-end children’s clothing, she commissioned free-drawn murals, candy-cane glass and Little Prince pendant lights to take young clients on a visual odyssey. 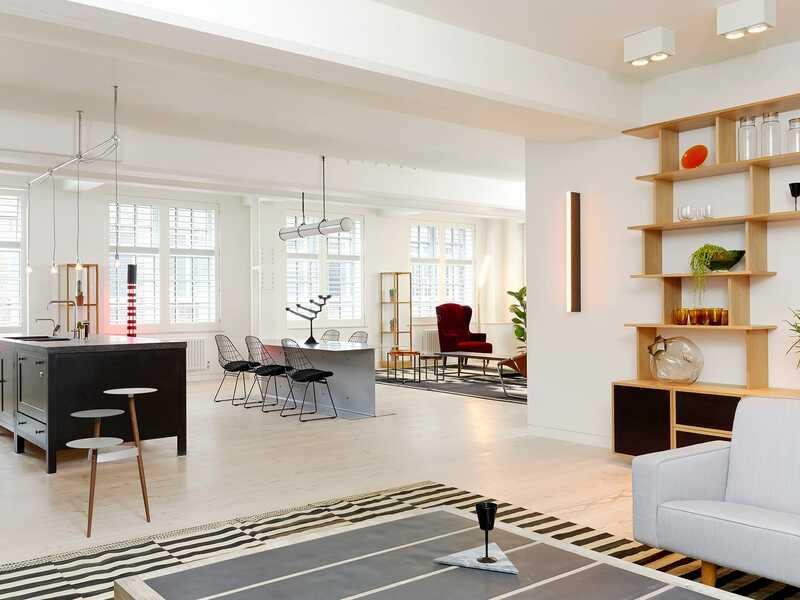 When working with private clients, she loves to mix design periods, as in the blend of collectible pieces by Rick Owens, Sebastian Brajkovic, Hervé Van der Straeten and Charlotte Perriand she chose for the Mayfair penthouse of a musician client. She also takes cues from art. 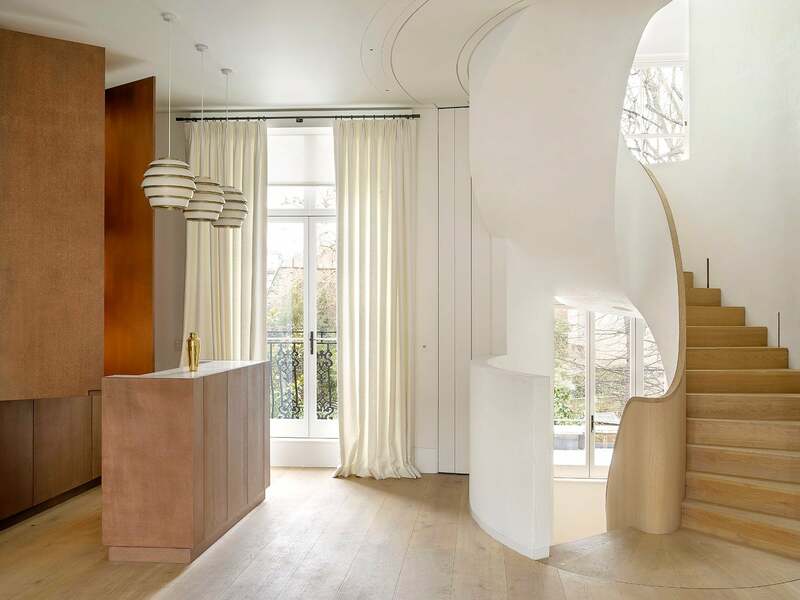 For a townhouse in Notting Hill owned by a film director and her husband, Hickman collaborated with 23 Architecture to create a spiral staircase inspired by the work of Barbara Hepworth. “It was that concept that won us the commission,” she says. 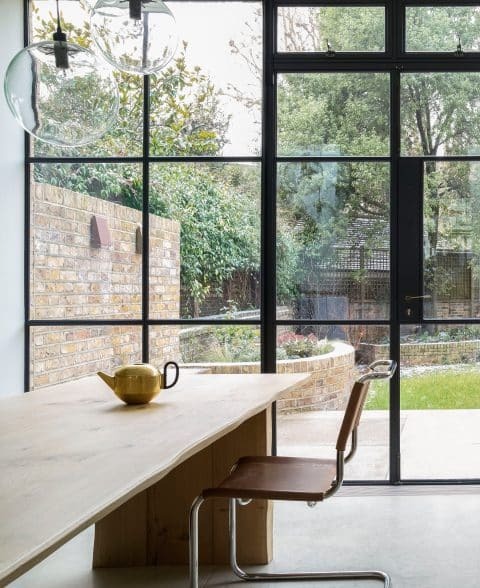 A Marcel Breuer chair sits at a Heerenhuis table in the glass-walled kitchen of the Notting Hill home. The teapot is by Tom Dixon. There is no signature Fran Hickman house style, she insists, adding that, for her, interior design is “all about creating a space that people will feel better for being in.” And she long ago learned to bat away any concerns from clients about her relative youth. “I have been working in the industry for fifteen years now across a breadth of projects,” she points out. 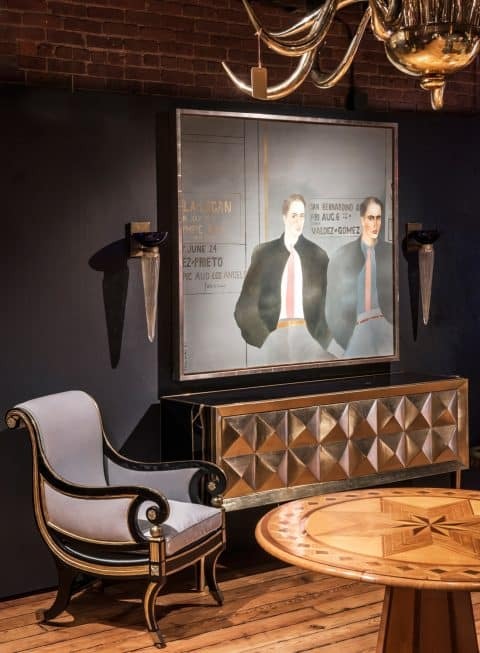 Mirrors in the style of Max Ingrand, 1950, offered by Thomas Gallery Ltd.
For those who love art, antiques and modern design, there’s a compelling new port of call: 1stdibs’ just-opened space where top-end international dealers and creators display their wares under one expansive roof. Known for her rock ’n’ roll interiors, Mann is exploring her simpler side and taking on a slew of high-profile projects.